Constantin2 Men's T-Shirt by Stockerpoint in grey. 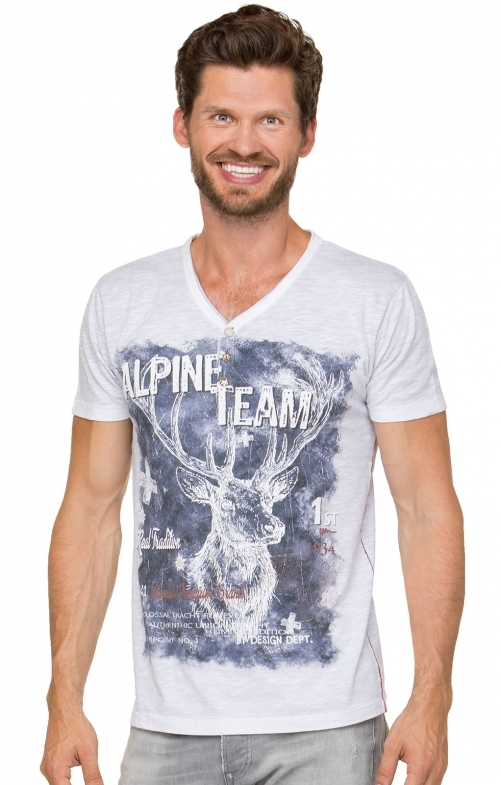 The traditional shirt from high quality convinces by the unique "antler print" with the word "Alpine Team". The trendy look of "oil-washed optics" ensures the cool look and sets the stylish "designer print" in the limelight. The V-neckline with button border adds to the unique look.